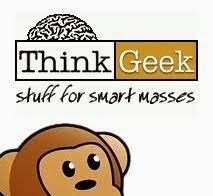 Action figures, playsets, mini collectible figures, roleplay and board games all on the way. PLAYSETS!!! Yaaaay. The Mini collectible figures they mention appear to be those we covered HERE. 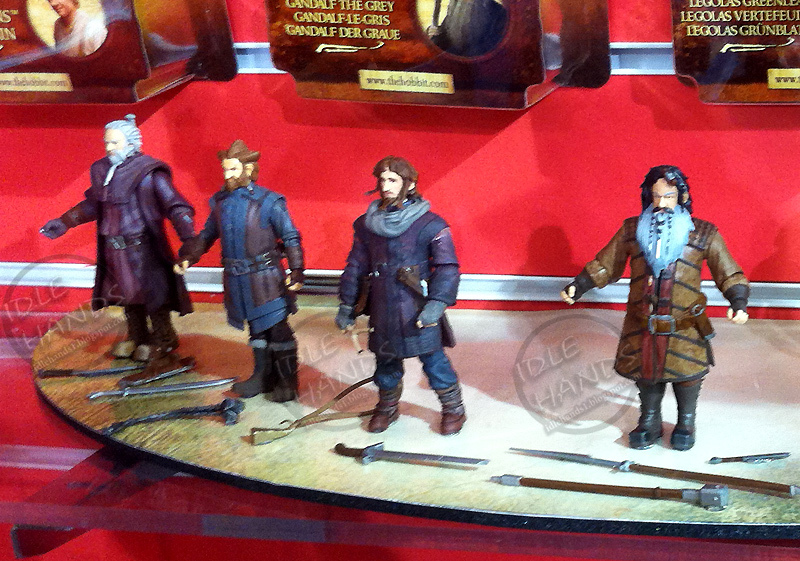 Looks like they will bring them to the US, so Hobbit fans, get ready to share in the pains of mystery figure hunting. aaaannnd...go. 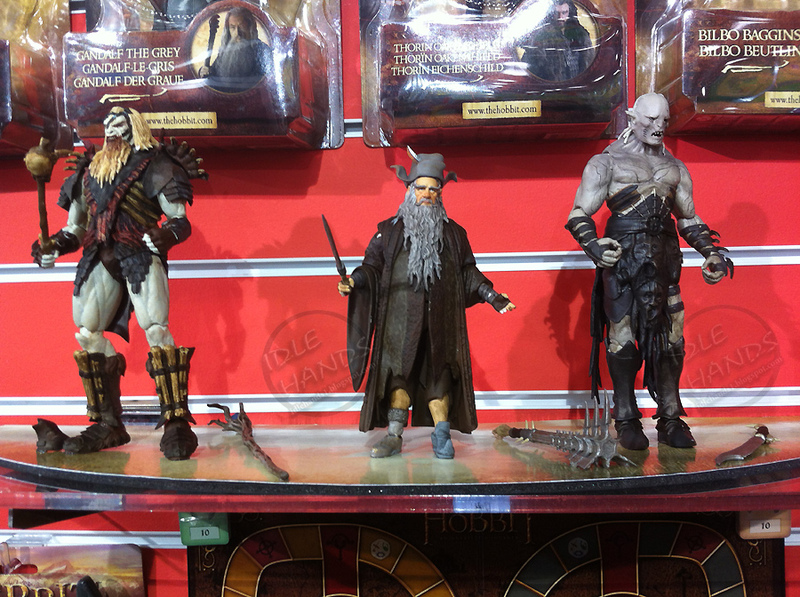 We spotted some new Action Figure Multi-packs that were mock ups, but look like boxed Dwarf 3 packs (2 of them) ..not the usual blister packaged 2 packs...and a a Goblin 3 pack with the previously released baddies Finbul, Bolg and Grinnah. 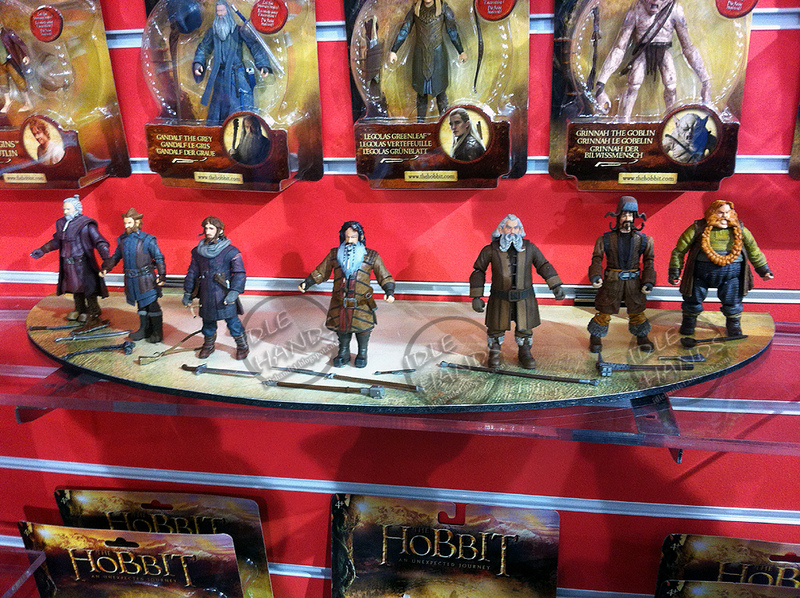 We also saw a Gandalf and Radagast pack, a Azog and his Warg pack, single figures of Azog, Radigast and Bolg (we suspect are 6 inch figures as they were grouped with the previous lot above them...and also, if you are detectivy, you noticed they stand larger against the grooves in the wall than the other figures do) and the rest of the 3 and 3 quarter inch Dwarf party! Our pics are so so this go around (sorry for the fuzzy! ), so we pulled whatever zooms we could and provided full pics so you can see the difference in scale. Enjoy! Note: These are prototypes, so the finished pieces will often look different from these versions. 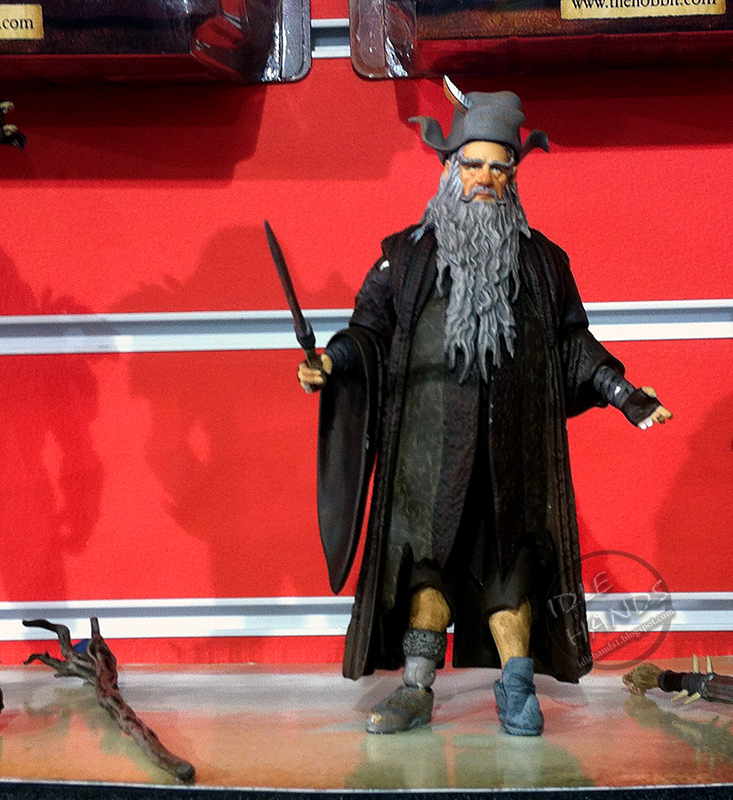 We are hoping they add the bird poo to the side of Radagast's head....cuz he ain't Radagast without the bird poop. No sir. While he wasn't my favourite by any means, I'd still like that 3.75 Radagast, but not if it means I have to buy him in a twin pack and end up with another Gandalf. 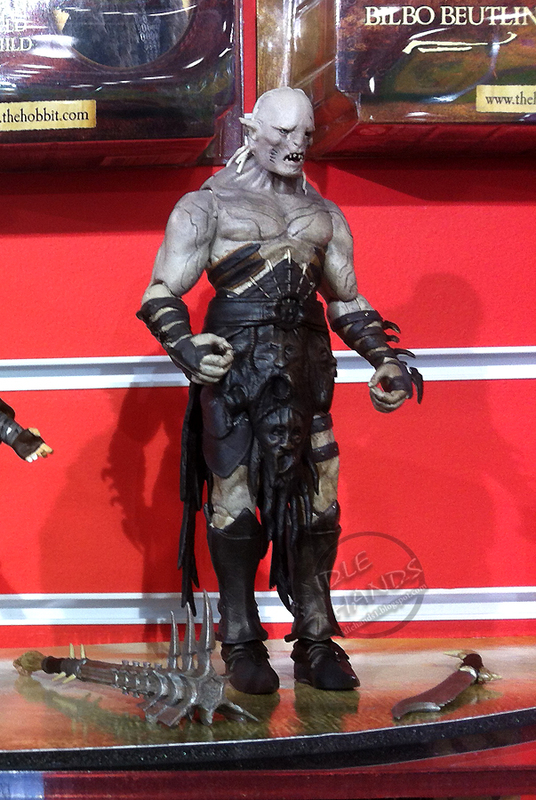 I'm already accepting that I'll need to double up on him if I want Bolg! 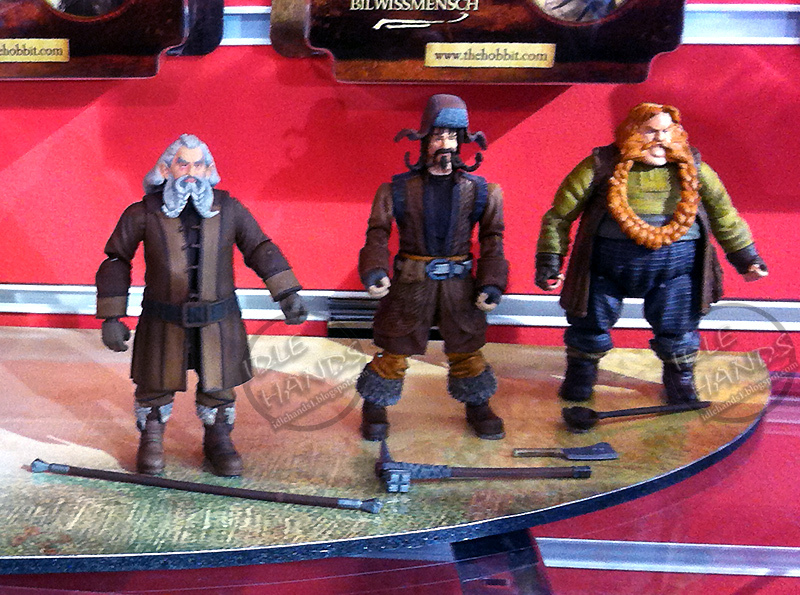 I'm wondering where Gloin went though - he's the only Dwarf left to make. Gloin is on the way..I promise. 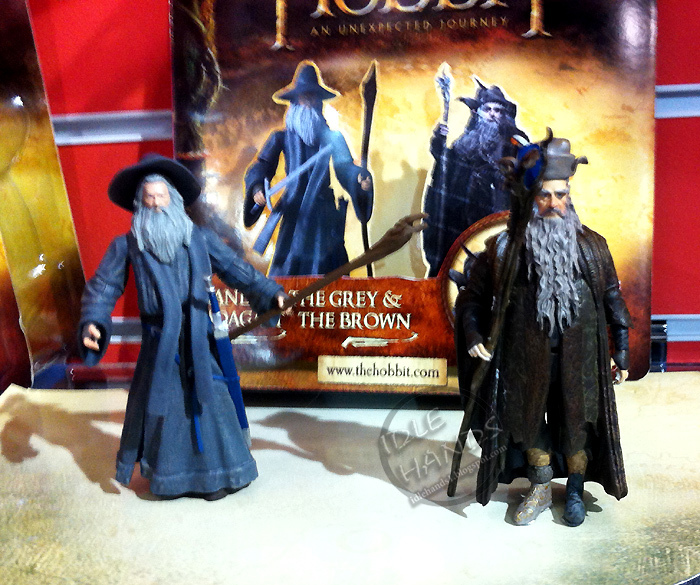 Be vocal about a single packed Radagast and you may get your wish. The Bridge are very receptive to feedback. 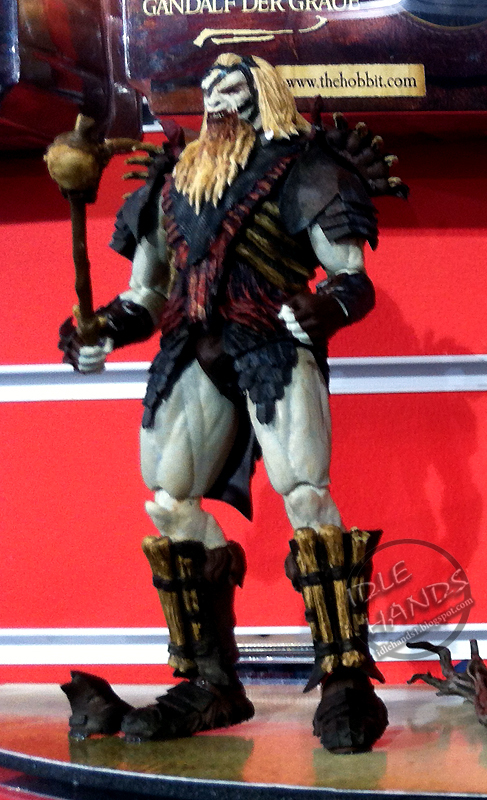 Will there be any more figure reveals at New York Toy Fair? Hard to say! 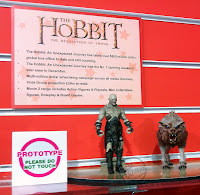 I have no inside info on this, but from past experience working with UK Toy Fair, they almost never show everything at that show...actually they usually show hardly anything. This year is a vast improvement. Knowing how secretive they are about the characters and creatures from the films, I doubt we'll see much, if anything, from the 2nd movie line. If anything, you may see the multi packs we talked about and maybe something from the first film they didn't show off yet. 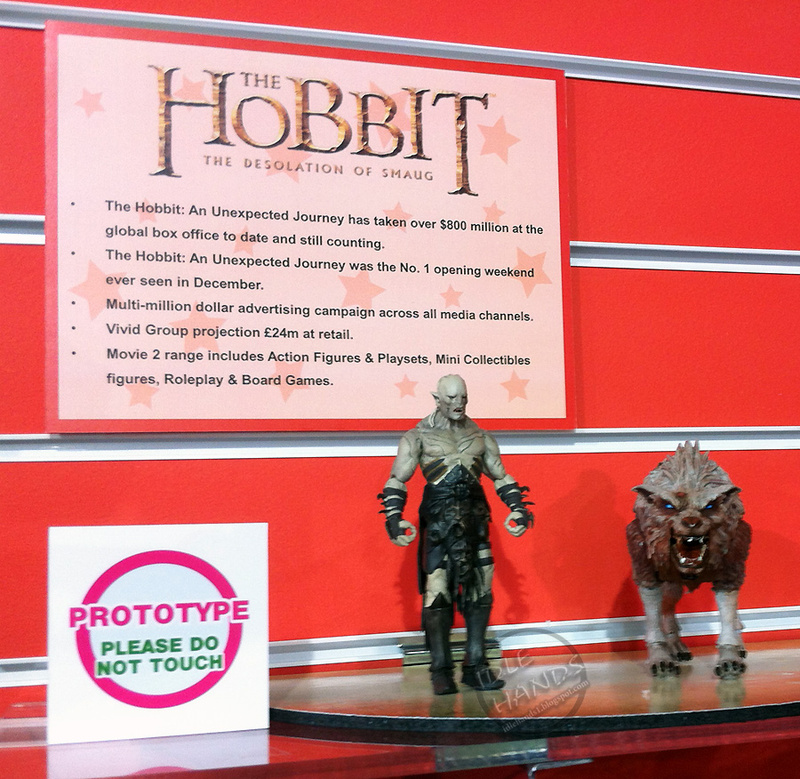 Maybe they'll have a mock up of a playset by then! Damn I love playsets. 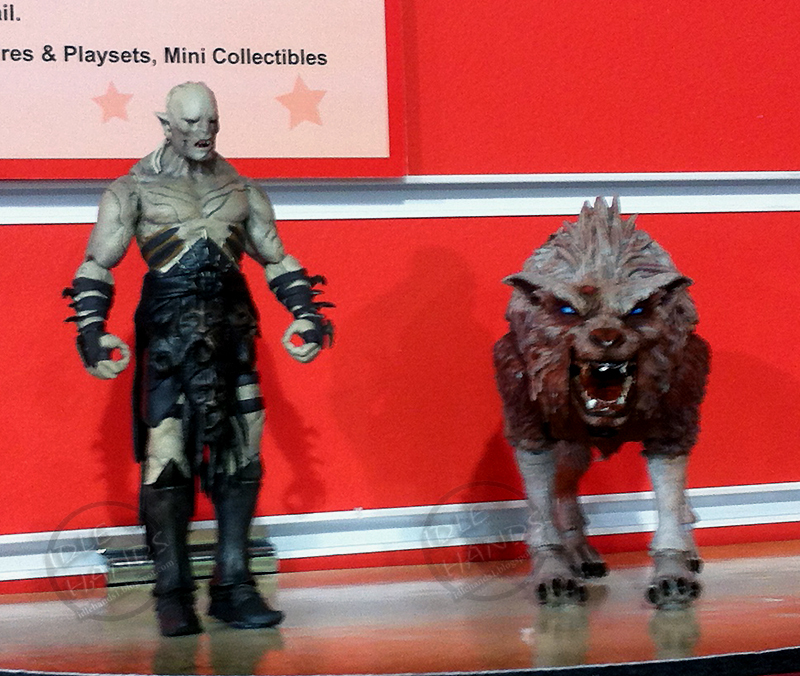 I should hope these are prototypes because Azog's wolf is the wrong color. 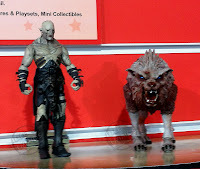 Speaking of Azog, is there any chance that his hand will be interchangeable to that hook he had in the movie?